South Africa and Zimbabwe have good bilateral political, economic and social relations that are underpinned by strong historical ties dating back from the years of the liberation struggle. 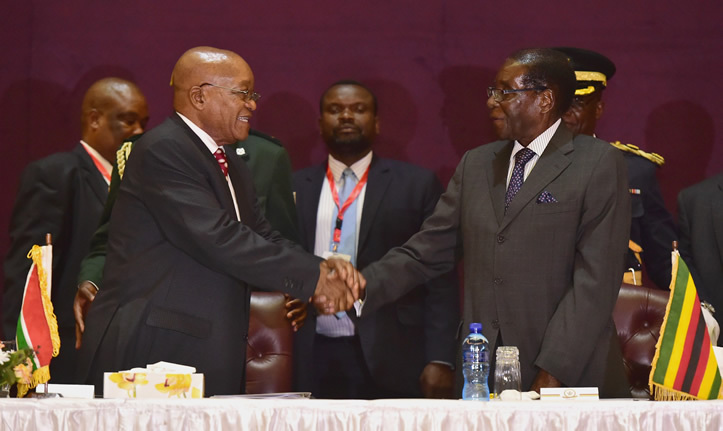 South Africa further strengthened relations with Zimbabwe to a higher level this week, when President Jacob Zuma visited Harare to attend the inaugural session of the South Africa-Zimbabwe BNC, which took place on 3 November 2016. The two countries conducted their bilateral relations through a structured BNC signed in 2015 during President Robert Mugabe’s State Visit to South Africa. In recent years, the two countries have signed more than 38 memoranda of understanding (MoUs) and agreements, which were coordinated through the then Joint Commission for Cooperation and the Joint Permanent Commission on Defence and Security, which were established in 1995 and 2005 respectively. The MoUs and agreements cover a broad range of areas, which include among others, trade and investment, immigration and consular matters, defence, agriculture, the environment, energy, health, as well as arts and culture. South Africa and Zimbabwe not only share strong historical relations but also economic cooperation to the extent that the economies of the two countries are historically and inextricably link. There are over 120 South African companies doing business in Zimbabwe in various sectors, including mining, aviation, tourism, banking, the property, retail, construction and the fast food sector. President Zuma was accompanied by the Ministers of International Relations and Cooperation, Maite Nkoana-Mashabane; Defence and Military Veterans, Nosiviwe Mapisa-Nqakula; Trade and Industry, Rob Davies; Home Affairs, Malusi Gigaba; Transport, Dipuo Peters; and Labour, Mildred Oliphant. The resolution, which will be tabled for adoption at the General Assembly during December 2016, recommends the convening of a conference early in 2017 to negotiate a treaty prohibiting nuclear weapons, leading to their total elimination. South Africa welcomes the adoption on 27 October 2017 of a resolution, entitled; "Taking Forward Multilateralism Nuclear Disarmament Negotiations" by a Committee of the United Nations (UN) General Assembly responsible for disarmament and international security. Two-thirds of the UN member states present and voting, supported the resolution, which provides evidence of the commitment of the vast majority of the world to heed the call by the outgoing UN Secretary-General to, once and for all, eliminate the threat posed by nuclear weapons to the survival of our planet. This decision is particularly important at a time of increased international tension that increases the risk of the use of these weapons, whether by accident or on purpose. While some of the states possessing nuclear weapons oppose the idea of a nuclear weapons prohibition on the basis of complexities in the international security environment, South Africa shares the view of the vast majority of states that this situation compels us to act now. South Africa, together with its partners from Austria, Brazil, Ireland, Mexico and Nigeria, played a key role in securing a positive vote on the resolution. This core group of countries received strong support from civil-society groups and international organisations. South Africa also appreciates the support that the resolution received from the vast majority of African states. 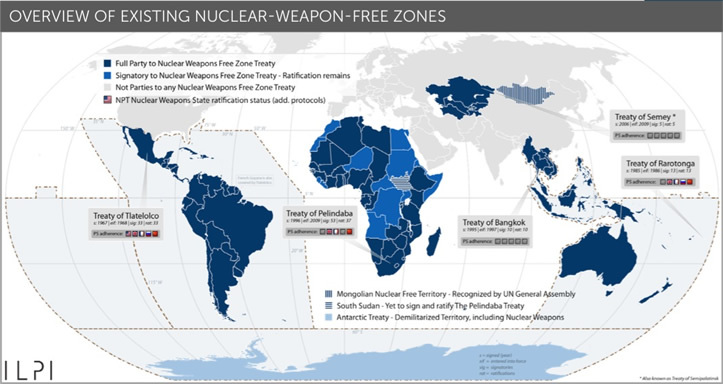 This is a historic decision in line with the aims and objectives of the very first resolution adopted by the General Assembly 70 years ago, the nuclear disarmament obligations under the Nuclear Non-Proliferation Treaty (NPT), as well as the provisions of the Pelindaba Treaty, which has already established Africa as a zone free from nuclear weapons. The negotiations on a treaty prohibiting nuclear weapons are expected to take place at the UN headquarters in New York during March and June 2017 and will be open to all states, as well as to civil society and international organisations. While biological and chemical weapons have been banned, nuclear weapons remain the only category of weapons of mass destruction yet to be subjected to an international prohibition. Such a treaty would therefore be an important step towards addressing a glaring gap in the international legal architecture on the legality of nuclear weapons It will also provide a solid foundation for the conclusion of additional legally-binding instruments needed to secure and maintain a world free from nuclear weapons. In addition, South Africa believes that such a treaty will strengthen the NPT norms and emphasise the urgency of implementation of nuclear disarmament obligations and related commitments during a time of heightened international tension. It would be an appropriate response to the findings of three international conferences on the humanitarian impact of nuclear weapons held in Oslo, Nayarit and Vienna from 2012 to 2014, where evidence was shared on the catastrophic consequences of a nuclear weapon detonation on human health, the environment, climate change, human displacements and the global economy, as well as the need for sustained engagement on nuclear disarmament. Despite the reservations expressed by some states on this initiative, South Africa hopes that they would nevertheless actively participate in, and contribute to, the upcoming negotiations. 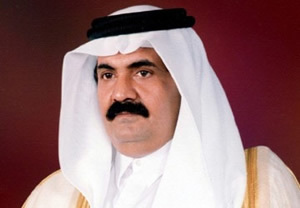 Sheikh Khalifa ruled Qatar from 1972 until 1995. He was one of the first rulers of Qatar after it gained independence from Britain in 1971. President Jacob Zuma has, on behalf of the South African Government and the people of South Africa, extended the country’s deepest condolences to the people of the State of Qatar following the passing of former Qatari Emir Sheikh Khalifa bin Hamad Al Thani, at the age of 84 years. During his time as leader, Sheikh Khalifa oversaw the beginnings of the transformation of modern-day Qatar into an energy-rich country. He was seen as a founding father of the Gulf Cooperation Council, the political and economic union incorporating six states in the region, including Qatar. During his reign, he steadfastly maintained sanctions against the apartheid regime, which saw bilateral relations being established on 10 May 1994. These relations were further strengthened by the state visits of former Presidents Nelson Mandela and Thabo Mbeki and current President Jacob Zuma. The South African Government extends its most sincere condolences to families of those who lost their lives in this tragic accident. President Jacob Zuma has, on behalf of the Government and the people of South Africa, extended the country’s deepest condolences to the people of the Republic of Cameroon following the tragic train accident between Yaounde and Douala on Friday, 21 October 2016, which has left many people dead and hundreds injured. President Zuma further wished the injured a speedy recovery. The main objective of the meeting with the Chinese delegation was to exchange views on issues of mutual concern relating to trade and industry agreements signed between South Africa and China during the 2015 Forum on China-Africa Cooperation hosted in Johannesburg, South Africa, and the 2015 Chinese State Visit to South Africa. On 28 October, the Minister in The Presidency for Planning, Monitoring and Evaluation and Chairperson of the National Planning Commission, Jeff Radebe, led a delegation of ministers who hosted a high-level Chinese delegation from the National Development and Reform Commission of China. South Africa and Norway are exploring new business opportunities in the blue economy and other innovative solutions to address global challenges such as rising poverty, inequality and increased demand for energy. 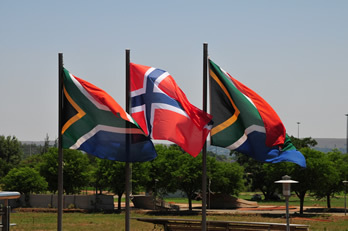 The South Africa-Norway Science Week 2016 was held at The Innovation Hub in Pretoria. Events for the week, which wrapped up on Friday, 4 December, were hosted in Pretoria and Cape Town. 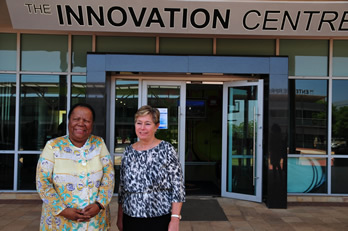 Speaking at the start of the week on Monday, Science and Technology Minister, Naledi Pandor, said the event was opportune to bring together key players from higher education, research, innovation and business from the two countries to forge relationships and encourage collaboration between academia and industry across national borders. “International cooperation and benchmarking provide important platforms for understanding and promoting the contribution of science and technology to economic development, especially in a global post-industrial, knowledge-based economy, whose principal imperative must be to enhance sustainability and green growth,” the Minister said. The blue economy is the focal point of this year’s Science Week. The ocean space is a strategic priority for both countries, and the challenges and opportunities derived from these strategies provide a fertile basis for innovation and business development. South Africa and Norway have an existing portfolio of science and technology partnerships to advance the blue economy. Both are members of the new international Martera platform, which will support collaboration in the domain of maritime and marine technologies. They are also part of the EU Horizon 2020 project, Ecopotential, where South Africa and Norway are leading the work to leverage Earth observation to improve marine ecosystem services. The two countries are also partners in the Atlantos project, seeking to develop an integrated Atlantic Ocean Observing System. Minister Pandor also identified renewable energy technology as a major field with plenty of opportunity for South Africa and Norway to deepen cooperation. “Not only does it present opportunities for us to reduce greenhouse gas emissions, it also presents new opportunities for technology transfer and innovation to enhance developing countries’ technological capability to create new renewable energy industrial clusters. South Africa and Norway are part of ERAfrica, which aims to create a European Research Area Network (ERA-NET) for the African continent. South Africa has also been an active partner of CAAST-Net, and as of 2013, it has been a partner of CAAST-NET Plus, which is a consortium of 26 African and European partners dedicated to advancing bi-regional cooperation in science and technology. Women’s empowerment will be an important cross-cutting theme that South Africa will prioritise during its tenure as the Chair of the Indian Ocean Rim Association (IORA). South Africa is the Vice Chair and a member of the Association’s Troika, along with Indonesia and Australia, and will chair IORA from 2017 to 2019. “As chair, we will also have an African perspective as we will seek to align the activities of IORA to the 2050 Africa’s Integrated Maritime Strategy (the AIM Strategy) in areas such as maritime security, capacity-building, skills development and technology transfer in the ocean economy,” said the Deputy Minister of International Relations and Cooperation, Nomaindiya Mfeketo. The Deputy Minister was in Bali, Indonesia, where she led a South African delegation to the 16th IORA Council of Ministers. Deputy Minister Mfeketo said IORA should focus on important priority areas such as the ocean economy, which South Africa viewed as a strategic focus area for the foreseeable future. IORA is an association of 21 member states that are brought together by a shared commitment to build a stable, secure and prosperous Indian Ocean region. The Deputy Minister said South Africa viewed the IORA as the pre-eminent regional organisation linking Africa, the Middle East, Asia, and Australasia via the Indian Ocean. The first phase of the analogue switch-off (ASO) and migration to digital broadcasting took place on Friday, 28 October, starting in the Northern Cape. The Square Kilometer Array (SKA) area in the province became the first province in the country to switch off its analogue signal. Analogue transmitters will also be switched off in Van Wyksvlei, Brandvlei, Williston, Vosburg and Carnarvon. In April this year, the door-to-door set-top-box (STB) registration campaign was initiated for the core SKA towns. The Department of Communications said in a statement that it was a direct intervention aimed at fast-tracking the uptake and usage of STBs and facilitating analogue switch-off in the SKA area. “The ASO is one of the critical milestones of the broadcasting digital migration process. 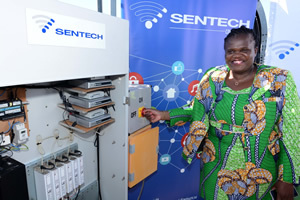 This symbolises capabilities of broadcasting digital migration stakeholders who made it possible to reach this stage,” the statement said. The registration campaign is currently underway in Limpopo, Mpumalanga and Free State and will be rolled out to the rest of the country in phases. “The main reason for the world’s migration to digital is to release valuable spectrum which can be used for other services. “Spectrum is scarce; therefore more efficient use of the spectrum is necessary if more terrestrial telecommunications and broadcasting services are to be made available. “With digital broadcasting, sound, video, text and still images can be transmitted using a technology that allows for information to be compressed, thus using frequency spectrum efficiently,” the department said. Public Protector Adv. 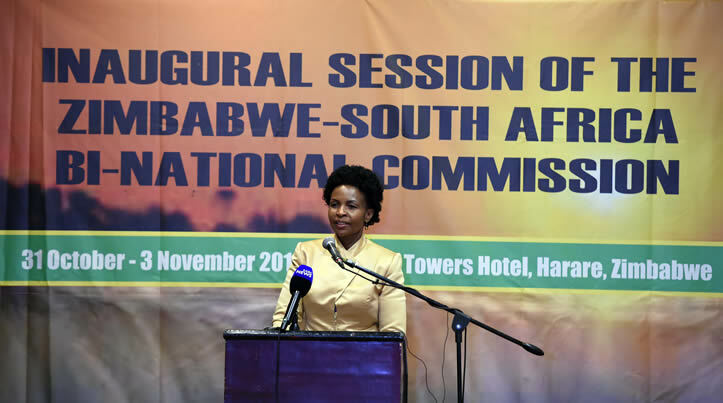 Busisiwe Mkhwebane, in her capacity as Chairperson of the African Ombudsman Research Centre (AORC), hosted the Fifth Biennial General Assembly of the African Ombudsman and Mediators Association (AOMA) in Durban, KwaZulu-Natal, from 1 to 4 November 2016. The AORC is the training and research resource of AOMA, a 39-member continental body of Public Protector-like institutions. Launched in March 2011 by President Jacob Zuma, the AORC is based at the University of KwaZulu-Natal’s Howard College Campus within the School of Law. AOMA was established 14 years ago to advance the ideals of good governance and human rights in Africa by supporting and protecting the independence and development of African Ombudsman institutions on the continent. Its General Assembly is the association’s highest decision-making structure. Two of the last public protectors of South Africa served as its executive secretaries for a combined period of eight years. The association has in recent years signed a bilateral cooperation agreeement with the African Union (AU) – an agreement that saw the organisation assuming the observer status within the AU. In terms of the pact, the two organisations agreed to cooperate in promoting the strategic priorities of the AU Commission in the realm of democracy and good governance, including the promotion and protection of human rights, transparency and administrative justice, observations of elections in Africa, peace and security. Responding to the challenges facing Ombudsman institutions on the continent, AOMA adopted the OR Tambo Minimum Standards for Effective Ombudsman Institutions and Cooperation Declaration in 2014. The declaration details 10 minimum standards that African states ought to comply with when establishing Ombudsman institutions on the continent. The General Assembly brings under one roof some 37 ombudsmen and mediators from across the continent to explore challenges faced by such institutions in their respective countries. It was held under the theme “The Ombudsman at 50: Reflecting on the Experiences of Africa’s First Ombuds Institution” and was also part of the association’s celebration of the 50th anniversary since the first Ombudsman institution (of Tanzania) was established on the continent. 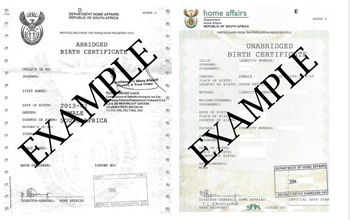 The Department of Home Affairs (DHA) has scrapped having two versions of the birth certificate, an abridged (issued for new-borns up until 2013) and an unabridged birth certificate detailing both parents’ details (issued to all new-borns since 2014). From Tuesday, 1 November, newborns in South Africa are issued only a single document stating both their maternal and paternal birth details. The document will be known as only a “birth certificate”, as opposed the previous “unabridged” or “abridged birth certificate” options. For South Africans travelling with minor children, the complete birth certificate detailing both paternal and maternal information will still be the document needed at customs to ensure smooth transit operations. Children born after 14 March 2013 were issued with a valid unabridged birth certificate automatically. This means their birth certificates will be valid as is. Everyone born before that, and who are still under 18 (from 1998 to 14 March 2013), and those from countries who do not automatically issue unabridged certificates, must apply for the document well before their travel date. The announcement of the term change in birth certificates for all South Africans is the first steps taken by the DHA after they announced in February this year that they would review the stringent visa travel rules for minor travellers. Airports Company South Africa (Acsa) is to take over management and operations of Mthatha Airport, the Eastern Cape Department of Transport has confirmed. The agreement brings to 10 the number of South African airports run by Acsa, with Port Elizabeth and East London Airport also in the Eastern Cape. Acsa, together with the Eastern Cape Department of Transport, will be responsible for the management of the operations and maintenance of aeronautical and non-aeronautical assets of Mthatha Airport. 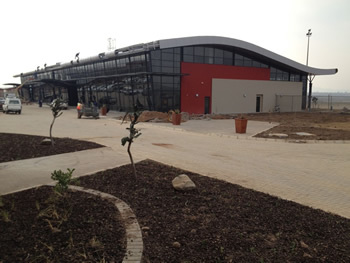 Infrastructure at Mthatha Airport's runway was recently extended to 2 600 metres in length and a contract has been awarded for the building of a passenger terminal, security fencing, roadways and car rental facilities. Bongani Maseko, chief executive officer of Acsa, says, “Mthatha Airport is an ideal access point for some of the most attractive tourism destinations in South Africa, while there is also industrial potential around the town and access to people ready and able to work. We are therefore going to be encouraging airlines to look at the potential of this destination. "We will also work closely with local authorities and business groups on activities to boost growth in the area,” says Maseko. Maseko says that the cost of flights to Mthatha Airport has already reduced significantly since the introduction of a new airline on the route, Fly Blue Crane. “Commercialising Mthatha airport is an important element of our contract and we will apply our insight and experience from other airports in South Africa to making the area a hub of growth,” he says. The symposium is held annually and is a forum where hydro-operating personnel, representing electricity utilities and independent power producers (IPPs) from Africa, meet to share ideas and deliberate on the operation, development, maintenance and management of hydro power plants. Eskom recently hosted the 28th African Hydro Symposium (AHS) at the Ingula Pumped Storage Scheme near Ladysmith in KwaZulu-Natal. Ingula is Eskom’s newest pumped storage scheme under construction and the largest in Africa, housing 4 X 333MW pump turbines. The vision of the AHS is to become an internationally recognised body of hydro expertise. The symposium’s objective is to facilitate technical interaction to enhance hydro plant performance for the mutual benefit of the participating utilities and IPPs. The symposium was launched in 1988 as a meeting of Eskom Hydro Plant Operators. In 1990, this was extended to include hydro-operating personnel representing electricity utilities, and IPPs from southern Africa. The theme for 2016 was “Sustainable Water – Sustainable Power”. Approximately 100 delegates from power utilities attended the symposium from countries such as Egypt, Uganda, Angola, Namibia, Malawi, Kenya, Austria, German, Zambia, Croatia and South Africa. Unit 3 at Ingula, which is located on the cross-border of the Free State and KwaZulu-Natal, is the final unit to be synchronised. Eskom on Saturday, 29 October, synchronised Unit 3 of the Ingula Pumped Storage Scheme. In a statement on Sunday, Eskom said Unit 3 was previously synchronised to the national grid on 6 March 2016 and supported the grid until 6 April 2016 when an electrical incident occurred. “After almost 500 000 man-hours of work without any safety incidents, the team completed the repair and has synchronised the unit back onto the national grid,” said the power utility. Synchronisation is the process whereby the generator in the unit is electrically connected to the national power grid in such a way that its power is perfectly aligned with all the other generators to generate and deliver electricity into the national power grid. Ingula’s Unit 4 went into commercial operation on 10 June 2016, while Units 2 and 1 were been put into commercial operation on 22 August 2016 and 30 August 2016 respectively. Ingula’s four units are located 350 m underground in the world’s largest machine hall in mud-rock. To turn the more than 500 ton rotating mass of the generator rotor and turbine, water is released from Ingula’s upper dam, Bedford Dam, situated 460 m higher and two kilometres away. Water rushes down to the turbines at around 60 km per hour with enough water passing through each turbine to fill an Olympic-sized swimming pool in six seconds. Rotating at 428 revolutions per minute, each unit will produce 333 MW, a total for the station of 1 332 MW. Upon completion, Ingula will be Africa’s newest and largest pumped storage scheme and the 14th-largest in the world. 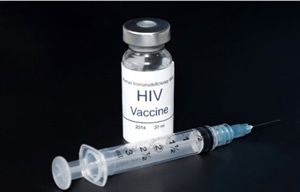 History will be made this week, when the first participant in a large-scale HIV vaccine trial receives a shot of the vaccine, designed to prevent a strain of HIV prevalent in southern Africa. Although vaccines are not 100% effective in every child or adult, they are the best defence against the epidemics which kill or permanently disable millions of people. And, since vaccinations are deemed among the safest forms of treatment worldwide, they far outweigh the risk of side effects. The HIV vaccine clinical trial, called the HVTN 702, involves more than 5 000 HIV-negative men and women across South Africa. An HIV-negative woman will receive her first dose at a Soweto site on Thursday, 3 November. “If we can show that this vaccine is at least 50% efficacious, it could lead to the first licensed preventive HIV vaccine in the world. Describing this as “a momentous occasion”, Gray said it would mark the start of a long, interesting journey that might culminate in the licensing of a vaccine which could contribute to ending the HIV epidemic. She said everybody working on the trial was excited. “We are looking forward to beginning this journey. We have been doing dry runs to ensure that when we begin, everything goes smoothly. "We have even set a time frame for each participant – they should spend 90 minutes on each session at the sites,” she said. At least 20 cruise vessels, including the Queen Mary 2 and the Queen Elizabeth, are set to dock in South Africa’s ports in the next six months. Transnet National Ports Authority (TNPA) spokeswoman, Lunga Ngcobo, said in a statement recently that the first cruise liner to dock would be the MSC Sinfonia, kicking off the country’s six-month cruise season. According to Ngcobo, the MSC Sinfonia is the largest and most popular of the ships to head up the country’s annual cruise season and based in Durban. 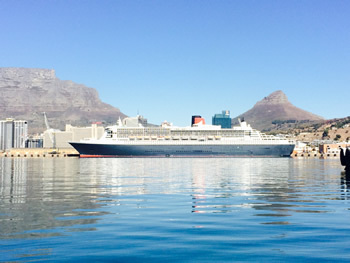 The distinction of the two largest ships to dock in South Africa’s ports belongs to the Cunard Lines Queen Mary 2 and the Queen Elizabeth, which will both dock in Port Elizabeth and Cape Town. Apart from Cunard and MSC, cruise liners from Oceania Cruises, Seven Sea Cruises, Silversea Cruises, Amadea, Compagnie du Ponant and Azamara Club Cruises will dock at South African ports over the next six to seven months. Ngcobo said that passenger facilities had been improved and that the TNPA had improved its processes at Durban’s Port to ensure quicker and improved embarkation of passengers. Facilities at Cape Town’s E-berth in Duncan Dock had also been improved and will be operated by V&A Waterfront (Pty) Ltd.
Lonely Planet describes Capetonians as being deceptively laid-back while working hard to “add cultural and culinary cred to the Mother City’s famous natural charms, cementing its reputation as an African city with a global outlook”. The local gastronomy is described as being as impressive as the city’s famous Table Mountain; and the endless wine estates, hip markets and inventive restaurants are highly praised. Lonely Planet predicts the art and design scene in Cape Town will be given a boost in September 2017 when the much-anticipated Zeitz Museum of Contemporary Art Africa is due to open, the largest of its kind. Bordeaux in France won the coveted top spot (its “gastronomic revolution” being one of the reasons), with Los Angeles, United States of America, in third position. 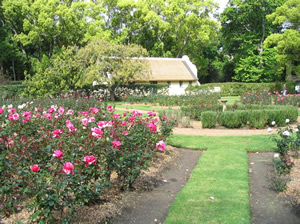 There’s one more exquisite reason to visit the Western Cape – a magnificent rose garden with 80 different rose varieties was opened recently at Vergelegen Estate in Somerset West. The wine estate, which is over three centuries old, already has 18 beautiful gardens over 10 hectares and draws at least 100 000 visitors annually, half of whom are overseas tourists. This summer, the world-class rose garden is sure to be an additional attraction. To create the revamped garden required 1 200 tonnes of virgin soil, 90 tonnes of peach pips, 40 tonnes of compost and 1 500 new roses! Work began in August 2015 and has resulted in a beautiful sensory experience with the collection – from miniature roses to rambling climbers, heritage blooms and hybrids – deliberately selected for their glorious scent and beautiful appearance. And in the centre is a bronze sculpture of Aphrodite – created by Kenyan-born artist Stanislaw Trzebinski – with water cascading into an octagonal pool of water. “We wanted to stimulate the sight, scent and hearing senses immediately and for visitors to enjoy a feeling of discovery,” said Vergelegen horticulturist, Richard Arm. The rose garden is located at the edge of a camphor tree forest, with a view to the homestead and its five enormous camphor trees … which were declared national monuments in 1942. A localised Monopoly board game with 22 familiar locations has been launched‚ offering players an opportunity to "buy" or build hotels at the Kruger Park‚ Kimberly’s Big Hole and Cape Town’s Boulders Beach. 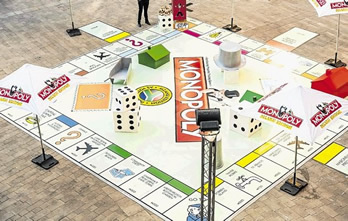 The creators of the game‚ "Monopoly Mzansi"‚ said new locations were canvassed from South Africans earlier this year. Over the past few years, numerous regional country versions of Monopoly have been produced. 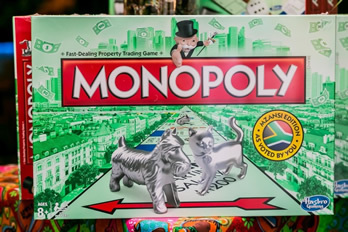 The game is now licensed in 103 countries‚ with Monopoly Mzansi being the latest addition. 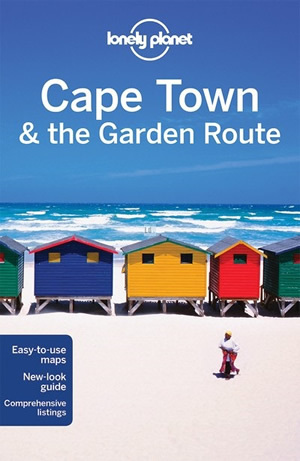 The special localised Mzansi edition features four transport hubs, including the Sandton Gautrain station, and 22 landmarks. V&A Waterfront and Table Mountain scooped the most expensive spots followed by Boulders Beach‚ Chapman’s Peak Drive and Kirstenbosch Botanical Garden. Other locations highlight South Africa’s natural heritage with the Big Hole and Addo Elephant Park making it on the board. Additional nature landmarks highlighted on the Monopoly Mzansi board include The Cradle of Humankind and St. Francis Bay. The Durban beachfront (The Golden Mile)‚ Florida Road and uShaka Marine World are vying for the most affordable locations on the board. New trendy spots such as Nelson Mandela Square‚ Maboneng‚ 4th Avenue Parkhurst and The Oyster Box Hotel have made the cut. "There is also a strong link to Madiba’s legacy with the inclusion of Vilakazi Street and Robben Island‚" says Siphiwe Thabethe‚ country marketing manager for Hasbro South Africa. "Monopoly Mzansi is a fantastic tourism product and an ideal keepsake as it proudly showcasing the essence of South Africa and a fair representation of all that South Africa has to offer to visitors across regions." Monopoly Mzansi will be available in all leading toy stores nationwide from 1 November 2016. Jennifer Lopez will be heading to South Africa for her first-ever performance as ANN7 is lining up more American artists for its third South African of the Year Awards. J.Lo will join Robin Thicke, announced earlier this month as the award show’s main act, at ANN7’s (DStv 405) third SATY Awards 2016 that will take place on 25 November at the Ticketpro Dome in Johannesburg, and will be broadcast live at 18:00 on the day. The SABC’s “Top Billing” presenter trio of Bonang Matheba, Jonathan Boynton-Lee and Jeannie D will be the three main presenters. Her SATY Awards 2016 appearance will be her first performance in South Africa. She is currently doing her Las Vegas concert residency at the AXIS Theatre and is producing the second season of her TV drama series, “Shades of Blue”. According to ANN7, Lopez will perform her biggest hits throughout the ceremony alongside South African artists. “The SATYs are the epitome of what it means to be South African,” says Moegsien Williams, ANN7 editor-in-chief. The SATY 2016 will award prizes to the country’s musicians, artists, conservationists, sport, youth and business leaders with ANN7 viewers voting for the nominees in various categories. 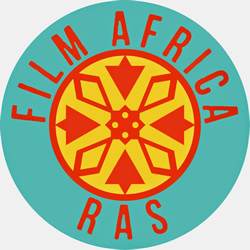 The Film Africa film festival, hosted by the Royal African Society, is considered the premier global film event for showcasing African filmmaking. Held this year in London from 28 October to 6 November, Film Africa is featuring 52 features, short films and documentaries from 22 African countries. The selection of African-produced and African-themed films will be supplemented with a series of discussions by actors and filmmakers as well as with exhibitions by African production companies. Professional workshops, live music events and industry seminars will also all highlight film, art and culture from the continent and its Diaspora. The festival culminates in an awards ceremony recognising the best of the festival’s acting and filmmaking talents. It includes the Baobab Award for Best Short Film and the Audience Award for Best Feature Film. One of the topical themes at the festival this year is: “Why I’m Here: Stories of Migration”. It comprises a collection of personal film narratives that reflect the intricacies of migration, political asylum and other challenges faced by Africans living outside Africa. Another predominant theme, one specifically focused on South Africa, is the cost of attaining and retaining freedom. The film biography of struggle icon Solomon Mahlangu, titled “Kalushi” opened the festival. The film looks at Mahlangu’s life during the 1976 Soweto student uprising, as a soldier in Umkhonto we Sizwe and the influence he had on the fight against apartheid. The festival ends with the world premiere of “Wùlu”, a Mali-France co-production. A political thriller set amid the 2012 Mali political rebellion, the film blends elements of traditional African storytelling with fast-paced action. International critics have hailed the film and its director, Daouda Coulibaly, as Africa's answer to atmospheric action auteur Michael Mann. It is being touted for selection for a Best Foreign Language Academy Award in 2017. 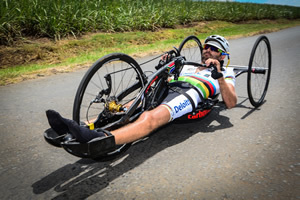 South African Paralympian Pieter du Preez has won his second Oita Marathon in Japan. The multi-talented athlete broke the course record by 1 min 43s at the 36th Oita marathon in Japan on Sunday, 30 October. The Laureus World Sportsperson of the Year with a Disability Award nominee lined up in the T51 wheelchair category to make history yet again. Du Preez, who is based in Johannesburg, has broken the 10 000 m T51 world record and set new African records in the 200, 1 500 and 10 000 m.
He's also last year's world No 1 at 800, 1 500, 5 000 and 10 000 m.
Du Preez was quoted by the SA Sports Confederation and Olympic Committee as saying: "I knew I could do something special here today but it was very windy and I had no one to draft with, so it was a time trial all the way. I ended up breaking that course record by 1 min 43 sec and my quality time of 2:30:53 is incredible”. She stole the hearts of the world in August, and now Ans Botha is being recognised for her achievements back on South African soil. 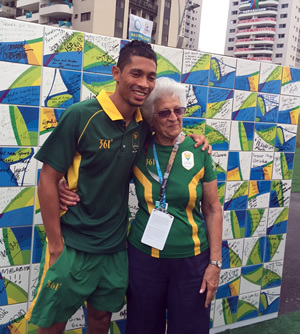 Better known as “Tannie Ans”, Botha is the 74-year-old coach of Wayde van Niekerk, who stunned the world by smashing American Michael Johnson's 17-year-old 400-m world record at the Olympics in Rio this year. As a result, she has been nominated in the “Coach of the Year” category at this year's SA Sports Awards. Van Niekerk's run was considered by many experts to be the best of the Games, and an already remarkable story was about to get even crazier when the world learned who his coach was. Botha, speaking after Van Niekerk's historic run of 43.03 seconds, said that breaking 43 seconds was on her mind before the race. Tannie Ans, who works out of Bloemfontein, says that she has a few more sprinters under her watch who are capable of delivering big things. Sports Minister, Fikile Mbalula, announced the nominees and Van Niekerk was one of the first to congratulate his coach. The SA Sports Awards will take place on 27 November. 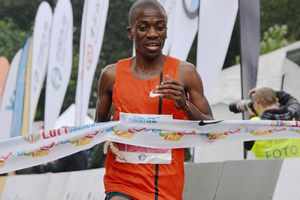 South Africa’s Stephen Mokoka emerged victorious from a three-men battle to take his third title in four years at the Shanghai International Marathon, an IAAF Gold Label Road Race, on Sunday, 30 October. According to the SuperSport website, enjoying a solitary lead in the last seven kilometres, the 31-year-old Mokoka clocked 2:10:18 to take a commanding victory. Although his time was 2:38 shy of his personal best of 2:07:40 when he finished second there last year and was the slowest winning mark since 2012, Mokoka was satisfied with his performance. It is the sixth consecutive year that Mokoka has competed in Shanghai. After third and fourth place finishes in 2011 and 2012 respectively, the South African took consecutive victories in 2013 and 2014. However, he was outraced last year by Kenya’s Paul Lonyangata, who set the course record of 2:07:14, and had to settle for the runner-up spot. The victory made Mokoka the second man to collect three wins in the race’s 21-year history. Ethiopia’s Gashaw Asfaw also achieved the feat with three victories in a row from 2008 to 2010.